Have a great time on your next vacation and choose Disneyland as your destination. Take advantage of the abundance of information that our community of deal hunters will share with you. With great choices of Disneyland offers available, you are sure to find exactly what you are looking for. 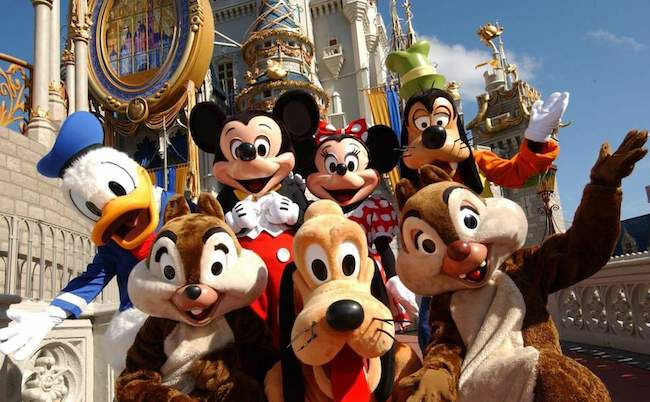 Our team of awesome bargain hunters has selected the best cheap Disneyland special offers and deals from the most trusted retailers including Southquaytravel, Wowcher, and 365tickets. You can check limited offers from various reputable retailers and get a discounted rate for your purchases. Black Friday - Disneyland Paris Offers!! Check out the lowest possible price on Disneyland tickets, hotels, flights & packages here at Latest Deal! Who does not have the happiest place on earth in their bucket list? The Disneyland Park, or originally called Disneyland, would always be a part of most people’s childhood.Its first parts were in the Disneyland Resort at Anaheim, California on July 17, 1955. Walt Disney supervises this theme park. The concept materialised after they visited different amusement parks with their daughters from 1930s to 1940s. Initially, he saw constructing a tourist attraction that was in parallel with the studios found in Burbank. The idea was to entertainment fans who want to visit. Sooner, Walt Disney realised that the proposed site was too small for them. That was when he hired a consultant who could help in finding the right site for the project. After its opening, Disneyland has gone through different kinds of major renovations and expansions. They include the launch of the New Orleans Square in 1966, the Bear Country in 1972, and Mickey’s Town in 1933. Today, the Star Wars: Galaxy’s Edge is set to open come 2019. The cumulative attendance of Disneyland is really large as compared to other theme parks all over the world. As a matter of fact, it has 708 million visitors since its opening. In the year 2017, Disneyland recorded 18.3 million visitors, making them the second most visited park all over the world, to follow the Magic Kingdom. A trip is only completed when you have Disneyland in your itinerary. There are so many reasons to visit Disneyland. Take the time off with your loved ones and meet Mickey Mouse and friends. Do you need cheap Disneyland Paris tickets? Are you planning the holidays with Disneyland Paris hotels and Walt Disney Studios Park? If you want to visit Disneyland with your kids, you have come to the right place. Here at Latest Deals, we have Disneyland deals such as Disneyland Paris deals 2018 that you can take advantage of. Maximise the cheap Disneyland package you can get here before it is too late. Our massive community of bargain hunters is always on the lookout to find the best Disneyland Paris flights and hotel packages at a price you can trust. We have Disneyland deals, discounts and special offers online that will enable you to save on your ticket. On top of this, we also have a team of money-saving experts who regularly share essential buying tips and tricks that can help you get some money off on your online and instore purchases. Majority of the UK retailers have sale events, seasonal clearance, and flash sales where you can save 25% off or more on your Disneyland tour. Furthermore, you can also buy one get one free Disneyland Paris tickets conveniently with us. Maximise your savings! Make sure that you use the latest Disneyland deals to make the most of your transaction. Start as Soon as You Can. That means that once you are booked, you should get the best rates on airfare and even hotel room if you must. The hack to this is to book as early as you can. What should you do with this? Purchase Disneyland tickets for a tour. You surely want to protect yourself from increases. Disney normally changes the price of its tickets in the middle of the year. Avoid that. Plan sit-down dining for a character meal inside or outside the park. Get the ticket fares a week before they start going up. Scout a Disneyland tour. Walking in will take all of your time. If you want a guided tour, make sure that you reserve for it. It will fill up if you do not. Read on tips about saving time in line. If you want, you can also order a Ridemax. This is a chance for you to come up with a time-saving itinerary eventually. Get ready with your remedies in case someone you know has motion sickness. Print out your itinerary or make it available in your mobile device. Do the same with your e-tickets, most especially if they are bought online. You can store them in your carry-on to be sure. Disneyland Railroad. This is where your visit begins. The classic grand circle tour should not be missing in your activities. It can be in the end or in the middle. Whatever point you are going, you must see and ride this for it will bring you back to your childhood. Pirates of the Caribbean. 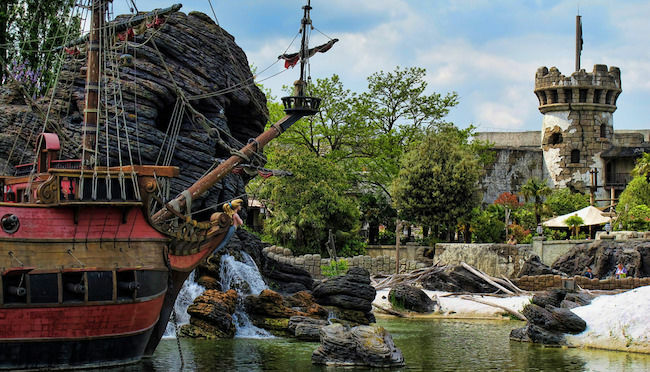 The Pirates of the Caribbean is one of the famous attractions in Disneyland Park. What is even better is that it is appropriate for any age. However, beware for children under five may find the adventure quite scary. The Haunted Mansion. The best thing about this attraction is that no matter how much you visit it, you will find new details on this. You can visit the 999 resident ghosts, most especially in the middle of September. Enjoy the ballroom as the couple dances creepily. It’s A Small World. It’s a Small World is an experience visitors must have once in their lives. This is perfect most especially for the little ones who are yet to see more of the world. The tiny dancing girls will make children and kids alike giggle for sure. Star Tour. Any Star Wars fan would enjoy this for sure. Explore intergalactic destinations with this 3-D ride. George Lucas, in partnership with Disney, created this with a new storyline as a twist. This includes trips on the skies of Coruscant. There are also fliers that are exciting enough to thrill everyone. Indiana Jones Adventure. This is for people who love falling to booby traps, ancient curses or those who are into being chased by the villains and bad guys. Tag India Jones on this archaeological expedition. Have fun without risking a limb.